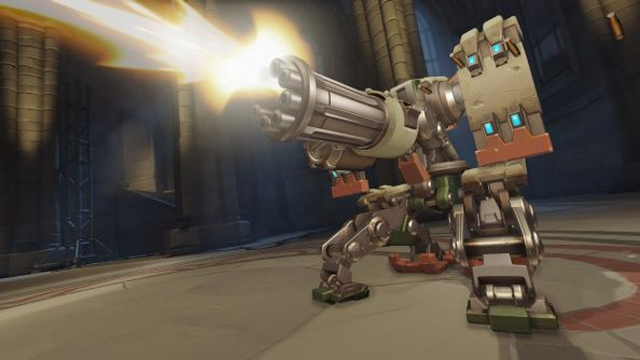 If you happened to play Overwatch during the alpha and beta stages ahead of launch, you would have surely noticed how utterly overpowered and bordering on invincible Bastion was. He received some pretty significant tweaks and nerfs leading into launch, and while he was still a fairly effective hero in both attack and defense, he wasn’t used nearly as much as he was during pre-release matches. This was due in part to his damage output being reduce, and his transform time from Recon to Sentry mode being reduced to a crawl. While he still stood as a viable first-time option for Overwatch newcomers, other more mobile and effective heroes — such as Symmetra and Torbjorn — became the norm on defense. 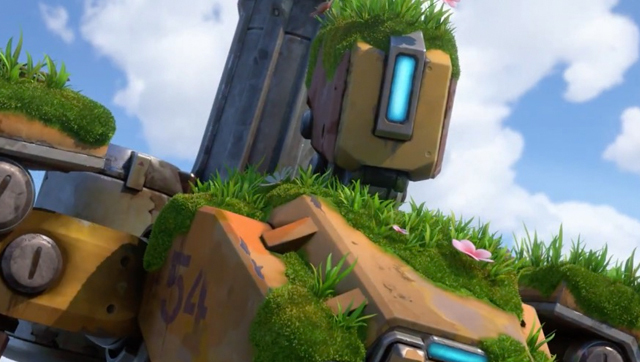 As it stands almost a year after launch, Bastion remains essentially untouched. While almost every other character has seen some sort of overhaul to attack and defensive capabilities, Bastion has been left behind and overtaken, leaving him as not only one of the game’s most vulnerable heroes, but also one of its most demanding. Demanding in the sense that he is ineffective without being protected, and vulnerable in a sense that his most useful traits leave him open to be shredded: switching from Recon to Sentry is utterly impossible while an enemy player has Bastion in their line of sight. Safe to say Bastion is in a pretty bad place right now. Shortly after the game launched, players bemoaned the number of Play Of The Game’s he got, and how easy it was for him to shred through opponents. Blizzard responded by tweaking the rest of the roster, while thrusting Bastion’s vulnerabilities directly under the spotlight: while he could previously react and adapt to enemy counters, he is now useless unless protected and shielded by friendly players. The challenge for Blizzard is to address Bastion’s recent ineffectiveness without going too far: you could argue that those first few weeks after launch were dominated by Bastion players, and it didn’t make for a very fun experience. 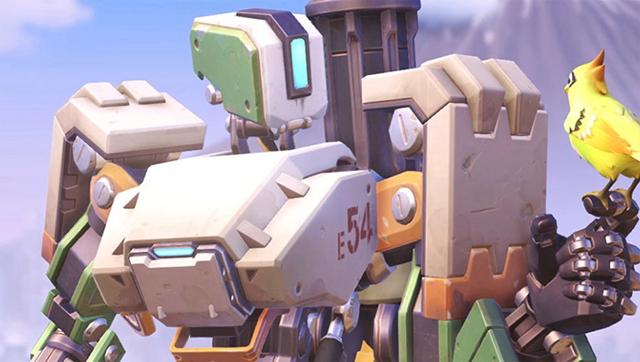 We’ve gone the other extreme now, as Bastion should act as a highly effective Sentry and useful Recon hero. Instead, he’s in a place where he’s a hard hero to pick. Overwatch principal designer, Geoff Goodman, agrees, saying there’s some “high level” stuff being planned for future Public Test Realm (PTR) updates. Firstly, Goodman says that Bastion’s Recon Mode will have lowered spread and increased magazine size. This, he explains, will “help with general viability” while in this mode. His Sentry Mode is also looking at a change: Blizzard is looking to turn this more into a “tank-buster and barrier-buster mode”. Importantly, they want to make it feel “less suicidal” when transforming from Recon to Sentry. This wasn’t an issue in the beta and early weeks of the game, but has since become one as other heroes get damage and mobility buffs. There’s also a hope to increase spread and remove headshots while in Sentry mode, with these changes balanced out with less damage taken while transformed. Finally — and this is the big one — the self-repair ability is set for a big refinement. 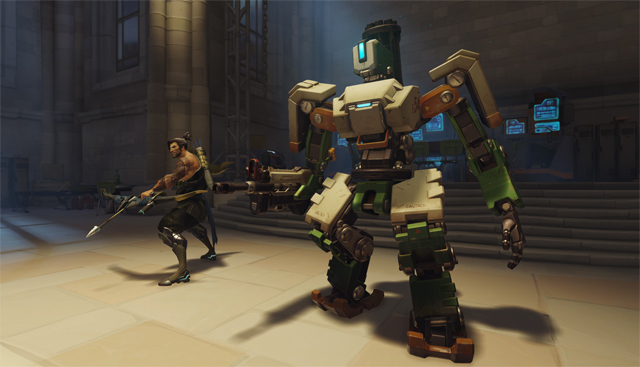 Goodman says there are hopes to allow Bastion to self-repair while moving, and also allow him to continue to self-repair even while taking damage. I like the direction of the changes, and they appear to provide good insight into how Blizzard addresses issues like this from a balancing perspective. Stay tuned for an update on Bastion when the changes hit the PTR in the near future. What are your thoughts on Bastion and the proposed changes? Sound off below!